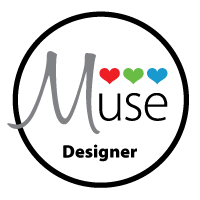 Would you like to be a Muse Designer? As we announced yesterday, we're about to have an open spot on the Design Team! For the first time, Muse is having a DT Call and we're going to do it the Muse way - by vote! Our DT terms run from January - June, July - December. At the end of each term, each DT member has the option of staying on for another term. You will make a card to be posted on the second Monday of each month during your DT term. Your card is due the Friday before the post goes up. You will post the card on your blog at the same time that the Muse post goes live. The card can be any theme, colour, layout, using any techniques. We like to have a lot of variety to keep things interesting! You are also responsible for commenting on all entries for your challenge. You may vote for all challenges. 1) Link up your very best work at the link below. 3) The link will close at midnight on December 11. 4) Voting will open at 12:01 am on December 12 and continue until midnight on Sunday, December 13. You may vote for your 3 favourites. (Anyone can vote, even if they haven't entered). 5) The winner will be announced at 9:00 am on Monday, December 14. Questions? Leave a comment below and we will answer! Hi Girls --- Can you please DELETE my card from the DT Call --- Due to some new health issues, I'm afraid, that I can not longer put myself into the running! Sadly, even IF I were lucky enough to be chosen - it's not something I can take one! Thanks so much and GOOD LUCK TO ALL!!! Hi Lisa - I've deleted your entry! Sorry you can't join us this time round, hopefully you'll be able to play in the weekly challenges when you're feeling up to it! Thanks Sweetie -- You can bet I'll be playing as much as I can -- this is one of my favorite challenges, as you know. I'd also love to take a Guest Spot again, should you ever need to fill one! Hugs!!! So much talent here --- it was truly a challenge to vote for ONLY three! I do have lots of friends applying and WISH you ALL the very best of luck. This is one of my all time favorite challenges and I can't wait to see who makes the time! Ohh my goodness this really is too hard. So much talent, many of them I follow through Feedly. How to decide mmmmm. Good luck everyone of you, so so talented. Wish you could allwin. Only recently discovered this challenge. Love the concept so will try entering in the New Year. Meanwhile have voted for my three favourite designs.